A child receives the body of Saint Lucia of Syracuse for her seventh birthday. A rebelling angel rewrites the Book of Judgement to protect the woman he loves. A young woman discovers the lost manuscript of Jane Austen written on the inside of her skin. A 747 populated by a dying pantheon makes the extraordinary journey to the beginning of the universe. Lyrical and tender, quirky and cutting, Helen Marshall's exceptional debut collection weaves the fantastic and the horrific alongside the touchingly human in fifteen modern parables about history, memory, and cost of creating art. 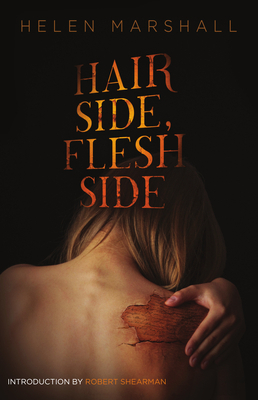 Helen Marshall's debut collection Hair Side, Flesh Side earned her praise as "the new face of horror" (January Magazine). Her work has been nominated for the Aurora Award from the Canadian Society of Science Fiction and Fantasy, the Bram Stoker Award from the Horror Writers Association, and the Sydney J. Bounds Award from the British Fantasy Society, which she won in 2013.